LG Q9 One has a 6.1� QHD+ screen with a tall ratio of 19.5:9. It runs on the two-year-old Snapdragon 835 chipset that brings along Quick Charge 3.0, Bluetooth 5.0 and all the Wi-Fi 802.11 channels. RAM is 4 GB, and the storage can be expanded even further with a microSD slot. The phone will be available only on the LG U+ carrier. It has a KRW599,500 price tag, which is about $535/�475. 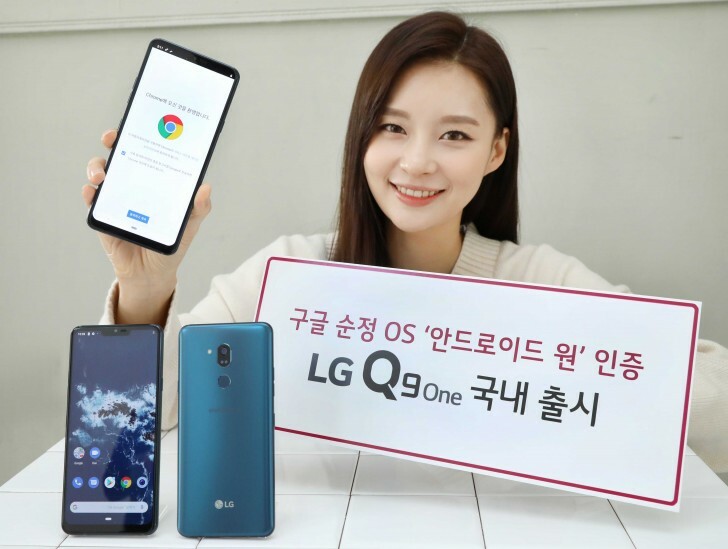 Although colors are not officially announced, the press release is filled with photos of New Moroccan Blue units, so there�s a confirmation for the only interesting color of the LG Q9 One. Published on Tue, 12 Feb 2019 07:30:01 GMT, © All rights reserved by the publisher.